"Pakistan lost their final seven wickets for for 41 runs. 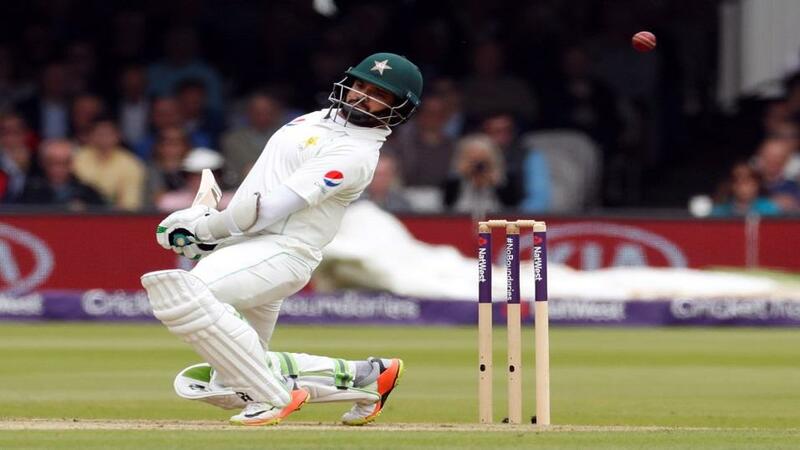 Azhar Ali hit 65 but rapidly ran out of partners, with three Pakistan batsmen going for zero." Nearly £800k was matched on Pakistan at [1.01] before New Zealand mounted a remarkable fight-back to win the first Test in Dubai by four runs. Bettors were left stunned by the turnaround after the Kiwis had been backed as high as [280.0] when it looked like the result was in the bank for Pakistan. By the time the final wicket fell, meaning Pakistan were all out for 171, more than £47m had been traded in the match odds market on Betfair. In the first of their three match series, New Zealand made just 153 in the first innings, with Pakistan following up with 227. New Zealand's batsmen performed better in the second innings, scoring 249, but Pakistan still looked likely to reach their target of 176. Pakistan were 130/3, needing just 46 more runs with seven wickets in hand. They were closing in on victory when they traded at [1.01] to win the Test. Pakistan lost their final seven wickets for just 41 runs. Azhar Ali hit 65 but rapidly ran out of partners, with three Pakistan batsmen going for zero. Eventually, Ali was the final wicket to fall, as New Zealand sealed a famous win and provided one of the most nail-biting betting events in recent memory. The win was also remarkable in terms of cricket history. It was on the 10th time a Test match has been won by fewer than 10 runs and goes down as the Kiwis' smallest-ever winning margin. It's also on the second time in their history that they have successfully defended a total less than 200. The result leaves Pakistan determined to get their revenge when they second Test starts on Saturday. Can they bounce back or will Mew Zealand build of this victory? One thing is for sure - the rest of the series has a lot to live up to.